Odontomedik Biological dental care in Tijuana ensures and provides holistic treatments that are affordable for North Americans. They use techniques and procedures that are biologically safe to the body. Patients are provided with a biological approach to dentistry, bridges, dentures, retainers, prosthesis and zirconium crowns which is known to be safer and healthier. 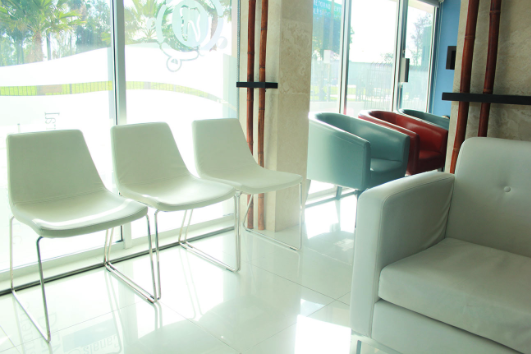 The Odontomedik Bio-Dental Center is a fully equipped clinic with modern facilities and uses bio-compatible materials. The clinic in Tijuana, is quite popular among tourists from America and Canada that come looking for dental treatments that are pocket-friendly and yet of high quality. At Odontomedik Biological dental care, we know the Hal Huggins protocol and Dr. Hulda Clark protocol to provide best holistic dental treatment for our patients. The use of mercury or other metals is excluded from those protocols as well as teeth with root canals need to be removed to insure best recovery for the body and strong immune system. It is imperative to include dental health to ensure general body health according to the philosophy of Dr Huggins and Dr. Clark; self-health is important and should be practiced by all people. If you have your teeth and mouth hygienic and lack of parasites and toxic elements, then the body health will be improved too. We have biological dentists at our clinic who ensure safe practices for removing amalgam tattoos and avoiding the use of mercury or any metal fillings in the benefit of biocompatible materials. We also avoid root canals by using alternatives in dentistry for better health of our patients. Treatment of cavitation is also necessary for those people with dental cavities, and it is among our primary practices. We use healthy alternatives that are not toxic thus good health to the patients. For instance, instead of metal fillings, we use plastic fillings. We use plastic crowns in all dental needs and surgically clean any cavitation. Whenever you mouth is infection and metal-free, we guarantee you some general body improvements that can be quite rewarding and reduce you the agony of visiting doctors more often. Among the improvements, you will experience improvement in aching joints and bones, hip pain, dizziness, knee pain, bloated condition, foot pain, enlarged spleen, headache and sinus condition. It is time you made a choice and had your dental needs care for by a biological dentist and avoid dentist that do not understand the use of biological alternatives that are less toxic and healthy to your mouth and general body.